When it comes to parties, no one parties quite like the Bluestone. Combine the authenticity of a century-old church with our urban innovations, and you have the perfect backdrop for that big party you’re planning in Columbus. Whether you’re throwing your daughter’s bat mitzvah or your company holiday party, the Bluestone is the party venue to consider in Columbus. Check out our unique spaces, extensive audio visual equipment and sensational catering menu. The best room in the house. 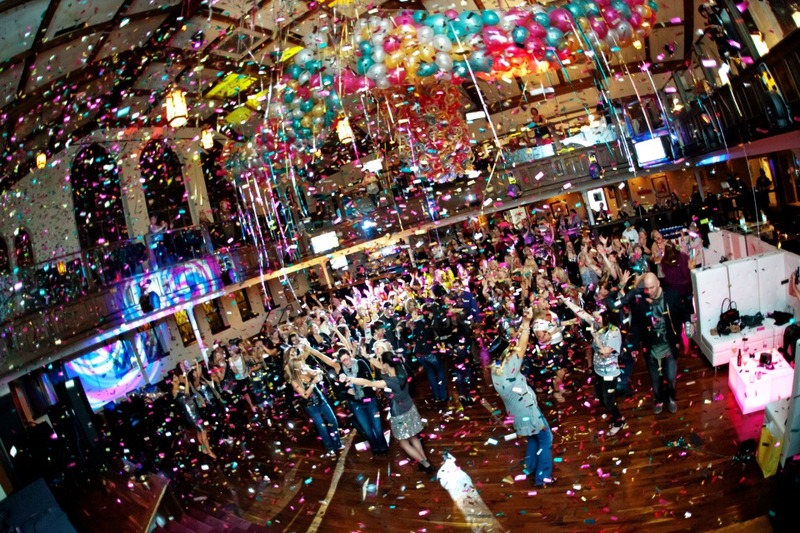 Whether you’re throwing a company holiday or employee appreciation party, bar or bat mitzvah, sorority or fraternity formal, prom, social, wedding or baby shower, cocktail party or even a costume party or casino night, we have the perfect space for you. Our Sanctuary can fit up to 800 partiers, while our Patio, Loft or Great Room are perfect for creating a warm atmosphere for small to medium cocktail parties and receptions. Then there’s the Underground – with its lit-within bar, programmable club lights and built-in DJ booth, this basement space is hands down the coolest private party spot in town. Or if you have a HUGE group to please, feel free to book the entire space for parties up to 1500… it’s all yours! Brand new sound and lighting: Top-of-the-line audio visual for your Columbus party. No party would be complete without stellar audio visual equipment – we all know sound and lighting can make or break the party. And we’ve just updated our lighting and sound systems, so you really are getting the best show in town. We offer all services and rentals in-house, including capabilities like club lighting, portable LED lighting, a 20-foot projection screen, seven LCD TVs throughout the building, highrise stage and professional sound system to pump your music into every room in the building, including the outdoor Patio. With in-house catering from our own Executive Chef and seven bars, it’s hard to imagine a better party venue in Columbus. For your next event, choose from hors d’oeuvres like Brie and Raspberry Canape, Grilled Cheese and Tomato Soup Shooters, or Crab Cakes topped with a Spicy Aioli. And with the option to open one or all of the three bars in the Sanctuary, two in the Great Room, one in the Underground and one on the Patio, your guests will never go thirsty.